Our White Kraft Shoppers are available in a variety of sizes. 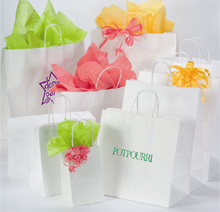 Leave a lasting impression on your customers with our custom imprinted shopping bags. It is one of the most cost effective ways to advertise. Contact us today for details. 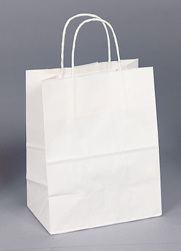 Our White Kraft Shopping Bags are available in a variety of sizes to meet your needs. Made in the USA!